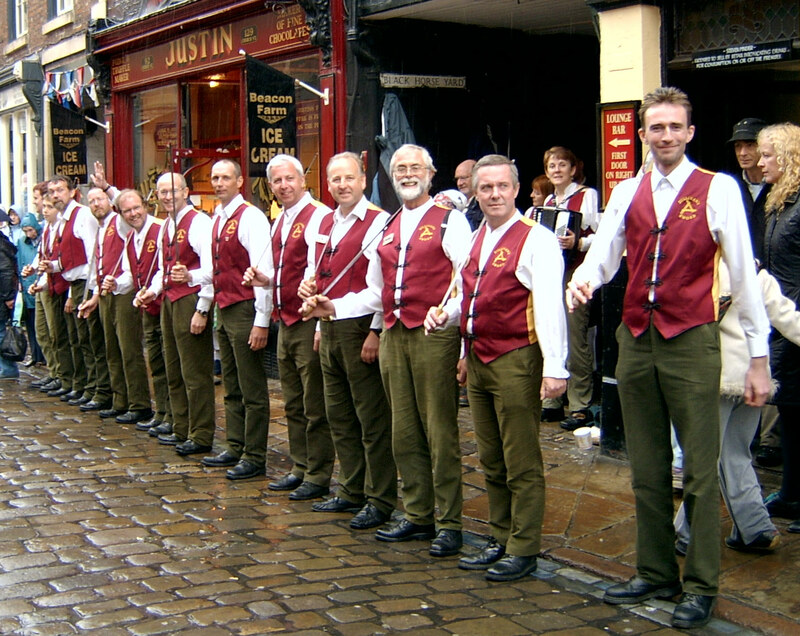 The longsword dance originates in Yorkshire where many villages had their own tradition. This type of dance can also be called a hilt-and-point, and is performed by six or eight dancers linked together in a circle by swords. Each sword is about a metre in length and generally made of sprung steel with no point or cutting edge, and with a wooden handle at one end. Longsword dancing is well documented in Europe where it is thought the swords had military connotations in mediaeval times. The dancers perform a number of figures in which they pass over or under the swords. Some dances include additional figures performed in pairs. The climax of the dance is the formation of a star or lock - an interweaving of the swords which is then held aloft. A sword-lock is used as the emblem of the English Folk Dance and Song Society (EFDSS). The origins of Sullivan's Sword go back to 1975 when the Owd 'Oss Mummers decided to widen their repertoire and perform a sword play. Our first instruction came from Sybil Clark of the EFDSS who taught us the basics of a dance from the Yorkshire village of Sleights in return for running a workshop on mumming. For a long time we worked on the dance at odd moments during mumming practice and became aware there was far more to it than we'd realised. 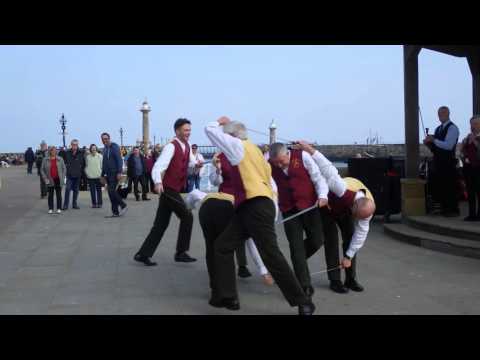 Eventually we emerged from hiding and performed as the Owd 'Oss Sword Dancers. Our dancing might not have been brilliant but we enjoyed it and the sheer elation of performing in public guaranteed we would become hooked. 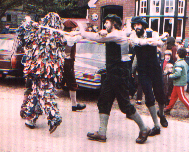 A sword play did not materialise until we started to perform in 1998 on Plough Sunday in some Nottinghamshire villages in and around Morton near Southwell. We decided that the sword dances needed a separate identity and name. While we were debating, Joe O'Sullivan, the landlord of the Red Lion in Canning Circus appeared and we were unanimous on our new name. The 'O' was immediately dropped in case people thought our dances were Irish. Sleights was our first dance and we have never stopped performing it. It is basically very simple and easy to teach to newcomers but when performed well the variety of locks in particular, make it crisp and spectacular. Not being a traditional side, we have never felt restricted to just one dance and have tried several. 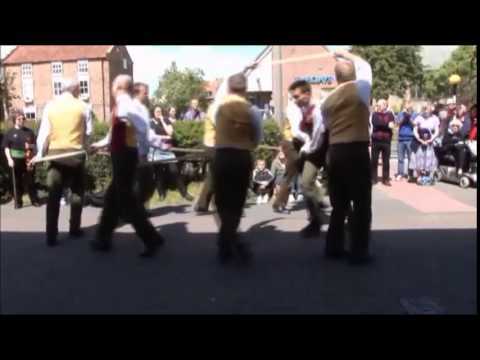 First came Escrick which we learned from Cecil Sharp's "The Sword Dances of Northern England". The personal instruction that we received was invaluable. We are particularly indebted to Ivor Allsop and Trevor Stone. Ivor ran a workshop in Barnsley, on behalf of the Morris Ring, where we learned the Ampleforth dance. This was the first time most of us had seen other sword dancers. We performed Ampleforth for a couple of years until we persuaded Trevor to come down to Nottingham to give us an instructional weekend. A few months later Ivor came down for an evening and took great delight in showing us ways in which we could change Trevor's interpretation of the dance completely. We still perform our own unique version of "The Helmsley Dance". Read more about Trevor, and get his book "Rattle Up, My Boys" here. 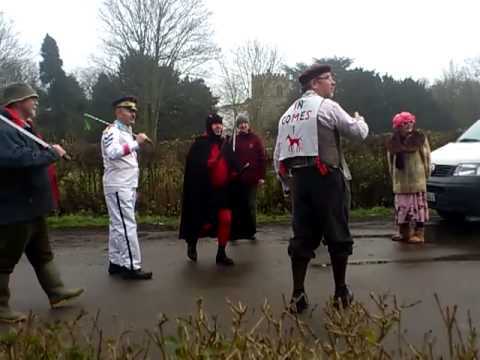 The Haxby Longsword dance in its village of origin. We are also currently relearning the Ampleforth dance. 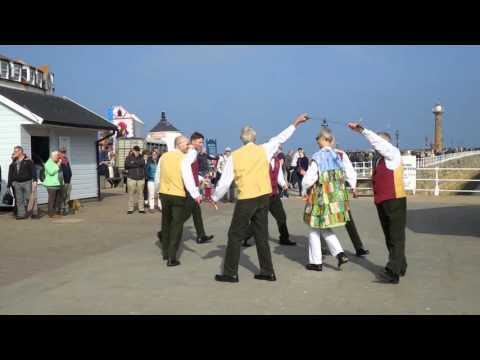 Over the years we've danced at many folk festivals, including Redcar, Cleethorpes, Warwick, Cleckheaton, Beverley, Chippenham and Shepley as well as pub tours and bookings near home and weekends of dance with various morris and clog teams. 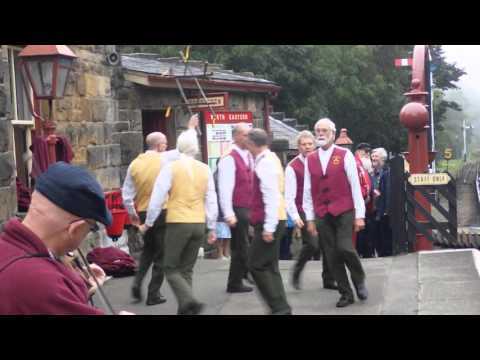 In 2008, at the invitation of Ivor Allsop, we learned the dance from the village of Haxby (north of York) which had remained dormant for decades. We performed it proudly in Haxby before a crowd of over 300. 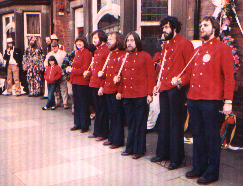 For many years, Sullivan's participated in the annual Gate to Southwell procession in June, organised by Dolphin Morris. Sadly, 2014 was the last year for this event. The Nottingham Post has kindly allowed us to reproduce this article of theirs, from circa 2005. We owe a debt of gratitude to a succession of dedicated musicians. Instruments have included the accordian, melodeon, concertina, whistle, fiddle, guitar and bohran. Our music is drawn from a variety of traditional English tunes, constantly updated to reflect the dynamic of the dance.